First up is a flower card. I cut out the flowers with my silhouette and while they were still on the cutting mat colored them with distress ink in spiced marmelade, worn lipstick and picked raspberry. I dropped some water onto it to give s some texture. Orange and pink with a lot of white always looks stunning, right? And a pop of black makes it even better, so I also cut the sentiment, colored it black and adhered it. My second card is simple as well. A bit of patterned paper and some wood veneer paper that I cut with Simon Says Stamp dies. I also cut those shapes out of brown cardstock and layered it to get the look of wood veneer embellishments. 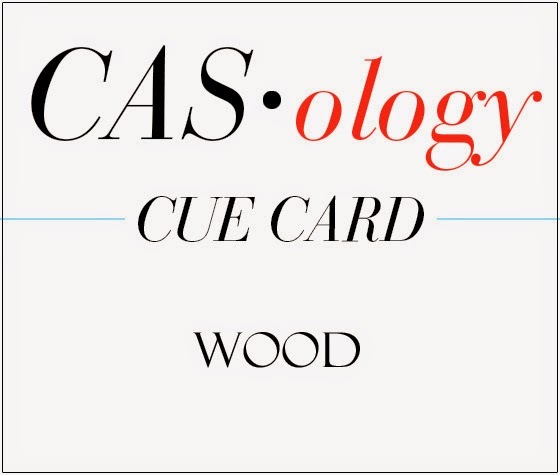 I made this card for the CASology "Wood" Challenge. 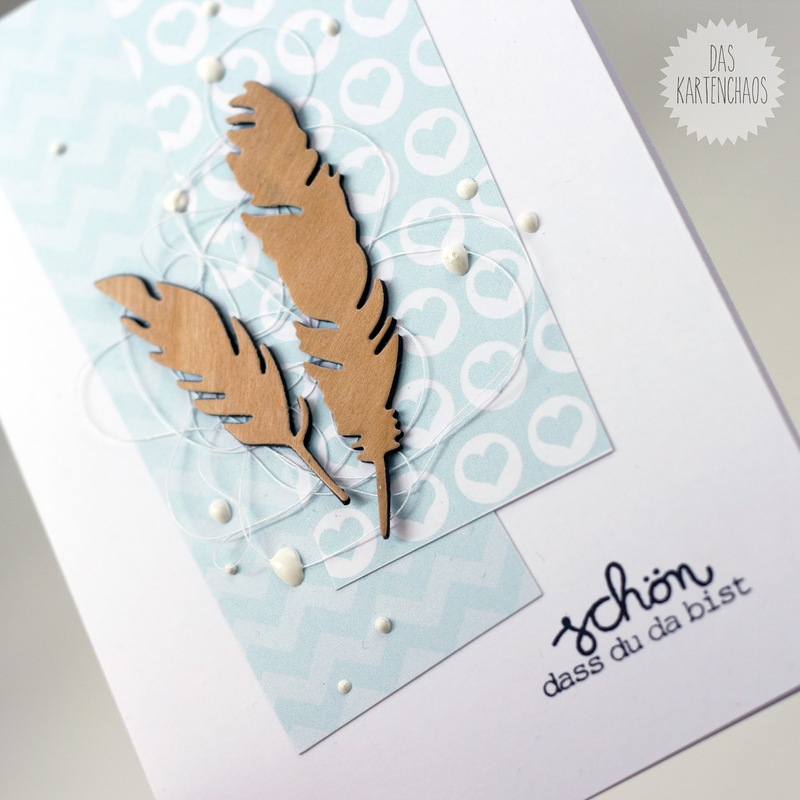 I really like your feather card it is one I would Case as I have similar dies. Making the feathers look like wood is very creative. Two fantastic cards, Christine! Love the hot pink and orange combo :) The way you made the feathers is so effective - I thought they were wood veneer! Two really beautiful cards, Christine! I love the colors on the first one, and your wooden feathers are fabulous! Oh my goodness! I'm swooning over here! Both cards are incredible!! 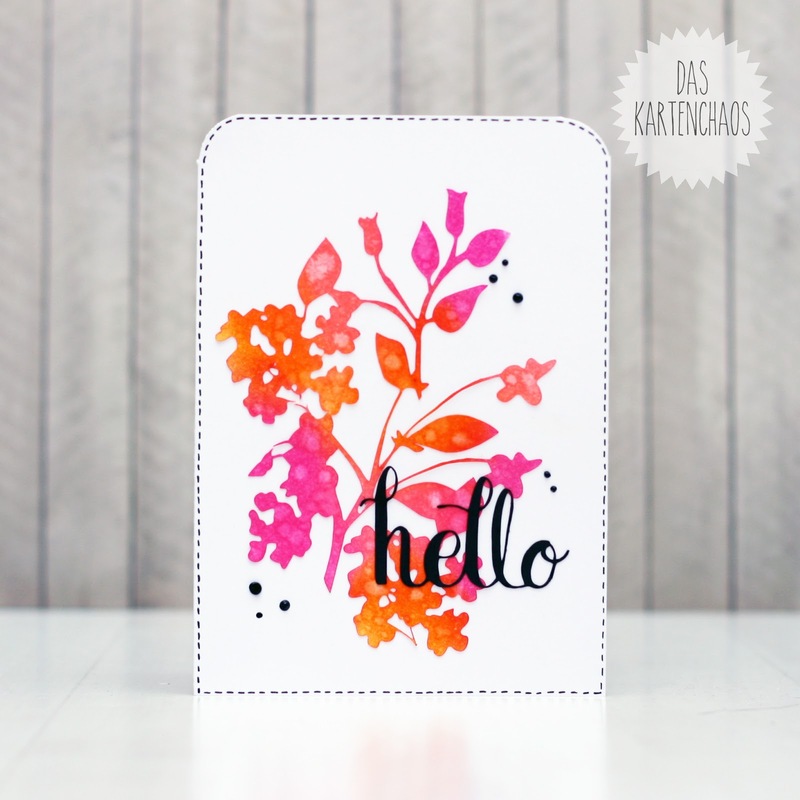 Your pink/orange card is visually stunning! Wow! Such amazing POP! And your 2nd card is seriously flipping incredible!!! Loooooooove that light blue paper with the thread all wonky! And those feathers 100% look like wood veneers!! Flawless! Love both your cards but the pink and orange one really rocks. So eyecatching. I have a new silhouette, still learning, must try this. So so good. TOTALLY rock the bright colors girl!! And love the soft DREAMY card for CASology, thanks for joining us, love it when you do!!!! 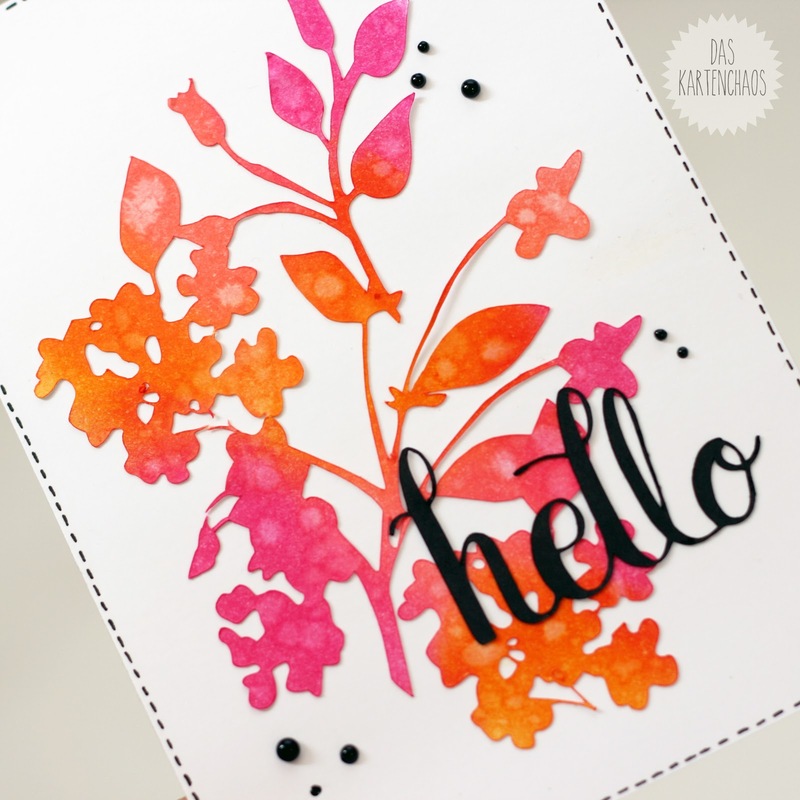 absolutely LOVE the bright colors in your first card...that pop of black is perfect. Your second card is a beauty, love the pale blues! I think your flowers are absolutely stunning! Thanks so much for playing along with ASM this week! Love the wood feathers too. What a great way to create a wood veneer look on those feathers! I love the beautiful, soft color scheme!!! Your first card is a stunner! Love that pop of black against the bright, bold image! 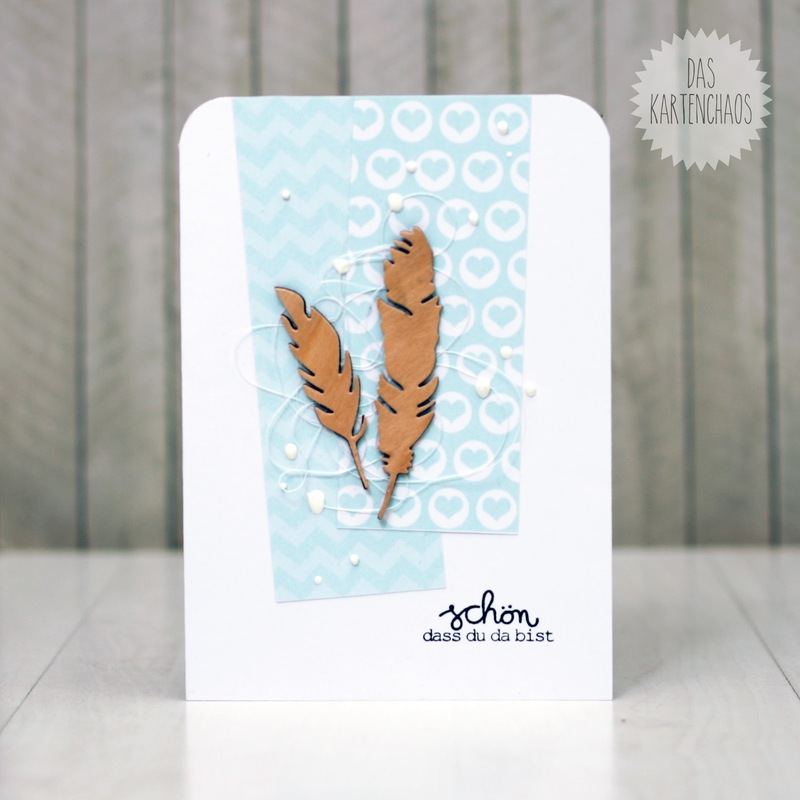 I absolutely LOVE where the inspiration card took you here with the first card......the distressing of the diecut is PERFECT and turned out beautiful! Thanks so much for playing along with the Cutting Edge Challenge! The first card is so STRIKING! Love contrast of the stark white behind the brightly inked die cut. Thanks so much for joining us at The Cutting Edge Challenge! What spectacular cards, Christine!! I LOVE the colors of the first one...such wonderful pops of color, and against the black...LOVE!! Thanks so much for joining us at the first Cutting Edge challenge this week:)!! Wow - both of these projects are gorgeous!! I especially love the perfect sponging on the first one - super fun!! Thanks so much for playing with us at The Cutting Edge Challenge - we're so glad you did!! Looking forward to seeing more of your beautiful work!